You don’t have to spend a bulk of money to ride a high-performance road bike. Cannondale’s award-winning CAAD (Cannondale Advanced Aluminum Design) series of road bikes (since 1983) still offers best price/performance ratio. Stage 9 of Giro d’Italia 2013 edition is a Medium Mountain stage between Sansepolcro and Firenze (Florence). The length of the course is 170 km. Stage 8 of Giro d’Italia 2013 edition is an Individual Time Trial (TT) between Gabicce Mare and Saltara. The length of the course is 54.8 km near Adriatic coast, pretty long for an individual time trial. Stage 7 of Giro d’Italia 2013 edition is a medium mountain stage between Marina di San Salvo and Pescara. The length of the course is 177 km. 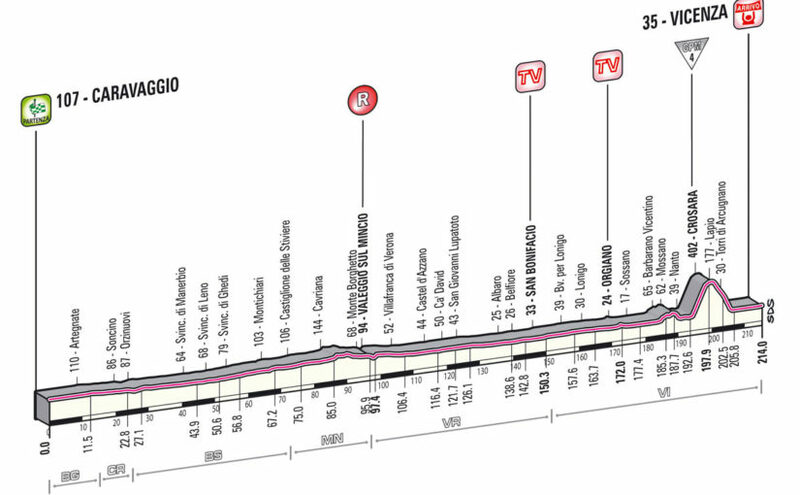 Stage 6 of Giro d’Italia 2013 edition is a flat stage between Mola di Bari and Margherita di Savoia. The length of the completely flat course is 169 km. Stage 5 of Giro d’Italia 2013 edition is a flat stage between Cosenza and Matera. The length of the course is 203km. Stage 3 of Giro d’Italia 2013 edition is a medium mountain stage between Sorrento and Marina di Ascea. The length of the course is 222km. Stage 2 of the Giro d’Italia (Tour of Italy) 2013 edition is a 17.4km Team Time Trial (TTT). This is the only team time trial stage in the race. The course will be from Ischia to Forio (Ischia is a volcanic island in the Tyrrhenian Sea).